Dit juweel van een huisje terwijl het recht op het water is beschut door bomen waardoor zowel prachtig uitzicht en privacy. Uw eigen exclusieve werf zorgt voor veel zwemplezier en een klein kiezelstrand als het vloed is. Het huisje is 20 minuten naar Peggy's Cove 30 minuten naar het centrum van Halifax. Pittoresk, historisch Prospect Village ligt op slechts 5 minuten rijden, waar een van de beste wandelroutes te vinden is in Nova Scotia. Het huisje is volledig ingericht met beddengoed en Basic Internet Service. Het huisje is geschikt voor 5 personen comfortabel in 3 kleine slaapkamers. Men heeft een set van stapelbedden de tweede slaapkamer heeft een eenpersoonsbed en de derde slaapkamer heeft een tweepersoons bed. 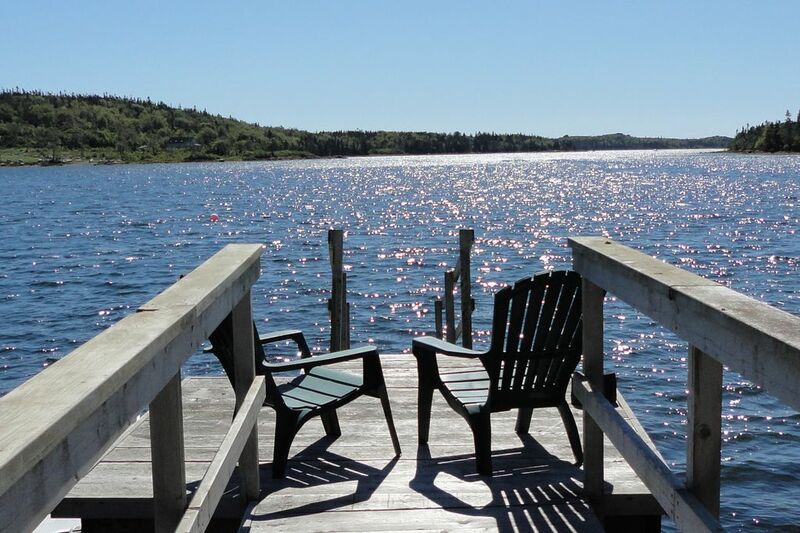 Cozy cottage on the bay that is in easy reach of Halifax, Peggys Cove, and Lunenburg. Nice view of the water from the dock. Excellent internet access. Great location for our adventures in Nova Scotia. Of note anyone with mobility issues this would not be the place for you- several stairs down to the cottage and a sloping path to get down to the water. If you are looking for for a quiet, quant little cottage experience, this is it. The location is perfectly in the middle of many desirable attractions. Sitting in the sun on the water started each day with relaxation. Lovely place. Perfect little cottage for our family of four. Enjoyed being away from the hustle and bustle of a city. Relaxing and quiet. We fished off the dock for mackerel. Had a bonfire several times. Loved the view from the dock. Just right for us. View. Great location and just a car ride away from major tourist attractions!! We stayed for six night at the cottage starting July 30th,, my self, my wife and two granddaughters. We arrived 6:30pm on Sunday night and the with owner Janice instructions and the GPS we had no problem finding the cottage. The first thing you will notice is the parking, your parking spot is at top of large very private lot which is great, what isn't so great is the three set of stairs and walks ways to get down to the cottage which is in the centre of the lot. The unloading and loading of a family of four was not much fun with the stairs involved. This by far is my only major criticism of the cottage, anyone with mobility issues should book elsewhere. I need a knee replacement so the stairs were a challenge and the sloped property was an issue for me the entire week even with a knee brace and a cane. The cottage is large with a small cubby hole bedroom with bunk beds, the other two bedrooms were cottage size bedrooms. The water pressure is not the greatest even by cottage standards but overall the only other complaint would be no SAT TV and when you did watch the DVD an audio buzz every few seconds but we didn't rent a cottage to watch TV although I did miss watching the nightly news. They had a nice fire pit and I bought firewood as the wood they had was punky. The view from dock was amazing and the kids fished and even swam in the ocean. Overall we had a great time and used the cottage as a base for our daily trips and had a fire every night and my morning coffee on the dock every day. The girls loved when the tide was out and explored the shoreline. A general store was a 2 minute drive away that sold liquor and beer and the drive into a grocery store in Halifax was about 20 minutes away. The cottage was close to Peggy's Cove as well. The owner Janice addressed the few issues we had and overall we had a Great Time. Just make sure you have good knees and the cottage should be good for you.